Hanging a crucifix in every room reminds us that Christ suffered and died for our salvation. 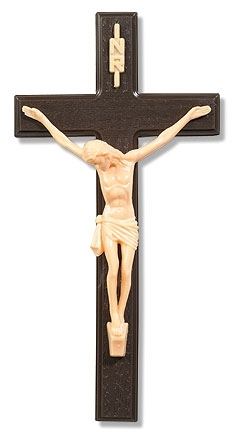 This crucifix is perfectly priced and sized for placing in the home, parish or classroom. They also make great gifts for any occasion, especially the Sacraments of Baptism, First Communion, Confirmation, and Marriage.